As with Powers, they are presented as military figures, though with the addition of a crown to fit their title. 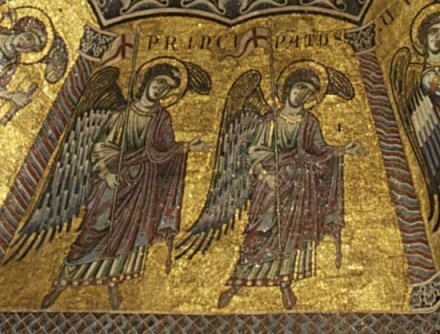 In the case of the Florence baptistery mosaic, the crowns are rather small ones. 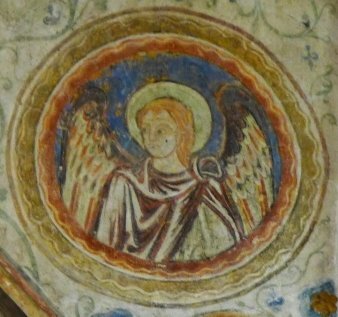 Angels are the lowest level of the nine, responsible for the more humdrum, routine tasks associated with us human beings, such as delivering messages and warnings. 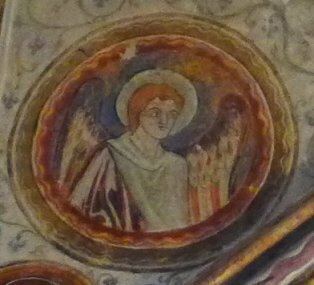 Messages of great significance are delivered by Archangels, as in the New Testament. As a change from the usual procedure I'm going to look at just one angelic task, and one work of art. That task? 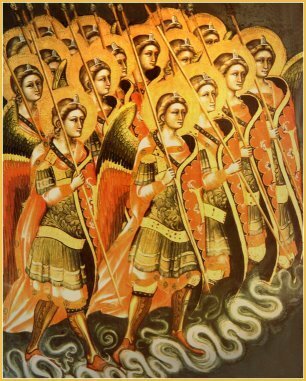 Guardian angels. 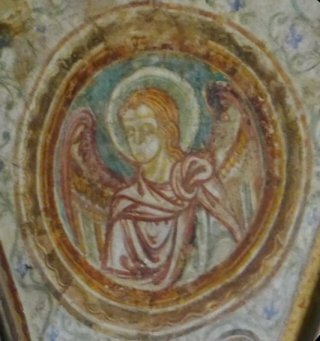 The artwork is from the cathedral in my home town of Winchester. 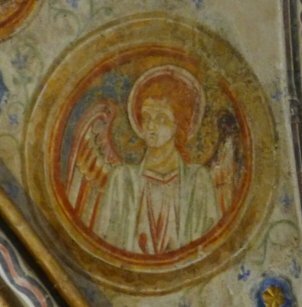 The Guardan Angels chapel was decorated around 1240 by Master William, the King's painter. The work is contemporary with the building of the chapel. It was restored in 1959 and 1960. 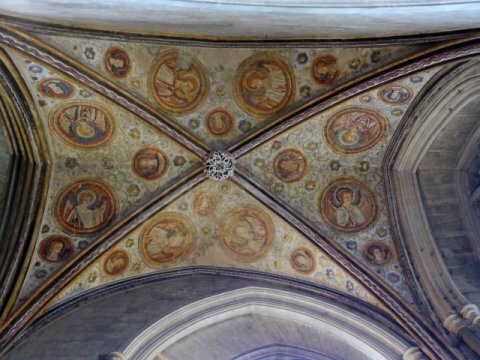 The chapel is named after the images: it is not clear whether there was an earlier dedication.